Ever wonder how to make that amazing Mongolian sauce like they do at your favorite restaurant? 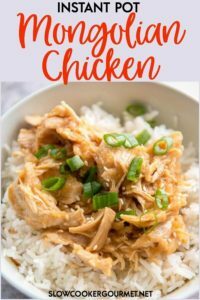 It’s super easy to do and so perfect for a quick family meal like this Instant Pot Mongolian Chicken! If you prefer beef, try out my Slow Cooker Mongolian Beef instead! 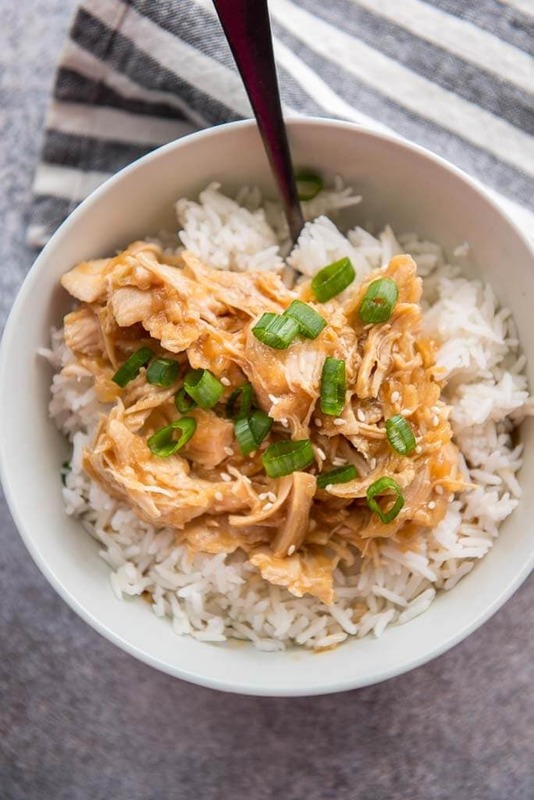 Whether it’s the middle of the school year or deep into the dog days of summer, having a meal that’s quick, simple and won’t make you sweat in the kitchen is a must! Bonus points when it’s a meal that both the kids and adults will gobble down and ask for again. And while most of us love going out for a delicious Chinese food dinner, it’s not always cost effective or the healthiest option. 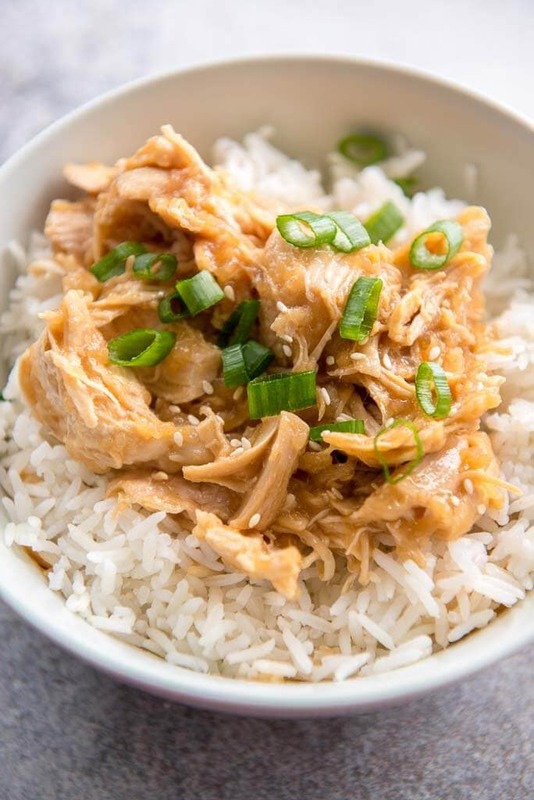 But making dishes like this Instant Pot Mongolian Chicken at home will help you save money and control the ingredients for a meal you feel good about serving to your family. So many people are getting on board with the idea of using their Instant Pot or electric pressure cooker for a quick and easy dinner. And honestly, a meal like this takes less time and turns out healthier than what you would get by calling in and driving to pick up take-out. 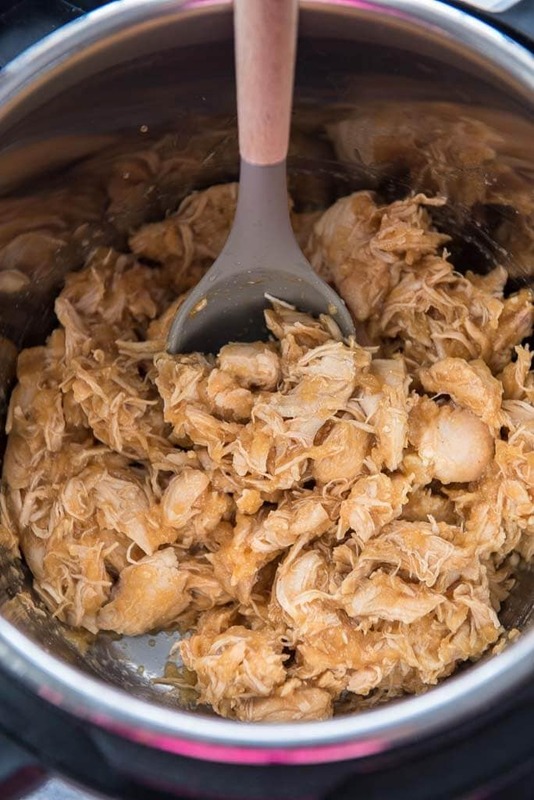 How long does it take to cook chicken in the Instant Pot? How much liquid do you need in an Instant Pot? Need an Instant Pot? Here’s the one I have perfect for feeding 4-6 people. Need ideas for serving? How about some steamed rice and carrots? Ever wonder how to make that amazing Mongolian sauce like they do at your favorite restaurant? 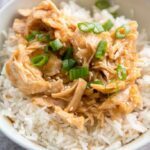 It's super easy to do and so perfect for a quick family meal like this Instant Pot Mongolian Chicken!